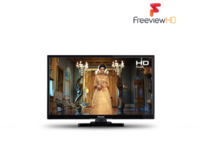 PAN-TX40FS503B Pan 40" full HD LED smart TV, you have a single hub that can provide you with a world of entertainment that is ideal any room in your home. 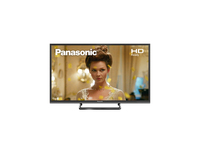 PAN-TX-43E302B 43 Inch Full HD TV from Panasonic with Freeview HD, delivering great value for money with up to 15 HD channels to choose from. 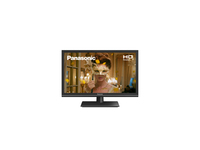 PAN-TX-43FS352B Flat screen 43 inch Smart Full HD TV expect impressive picture quality, vibrant colours and a detailed display. 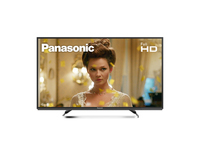 PAN-TX-49FS352B With the Panasonic 49 inch Smart Full HD TV expect impressive picture quality, vibrant colours and a detailed display. 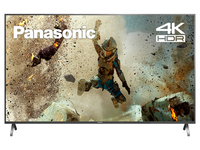 PAN-TX49FX550B 49" Ultra HD 4K HDR LED TV brings the beautiful realism and colour of the 4K HDR picture into the modern home. Smart TV with built-in WiFi. 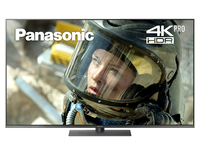 PAN-TX49FX650B Great value 4K HDR performance with catch-up TV and video streaming. Smart TV with built-in WiFi. 49" Smart 4K Ultra HD HDR LED TV makes every night a movie night with its life like images and will make your living room feel like its own mini cinema. 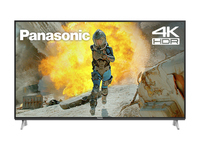 Spectacularly detailed 4K UHD resolution combines with the realistic depth of 4K Pro HDR and the brand's Cinema Display for remarkable clarity of vision. PAN-TX55FX550B 55 inch 4K Ultra HD HDR Smart LED TV Freeview Play. TV brings the beautiful realism and colour of the 4K HDR picture into the modern home.